So for this week’s post I thought I’d try something a little different. As you may recall from my introductory post, part of the reason I started this blog was to help keep my writing skills sharp. And while I very much enjoy writing essays about video games and other things I find fascinating, I do need to practice my craft in other ways. I have primarily done this through writing and revising short stories, but I thought I’d take some time with this blog to practice something I feel I need to get better at: place descriptions. I’ve been writing things for a long time, be they school papers, little movie scripts to shoot with friends, or actual stories. But one thing I’ve never felt incredibly comfortable with was my place descriptions. They’re incredibly important when setting a scene in a story, but I always find myself struggling somewhat with the correct words to capture the image I have in my head. I can describe people fairly well, but places I still never feel quite comfortable with. So here’s my plan. I am going to take four different places, both from the real world and from video games, and try to paint an image of them for you. At the end of the post, after the four descriptions, I will tell you what place I was describing, what it’s from, and what I was trying to get across with my description of the place. Feel free to comment on what succeeded and what didn’t, and offer any advice you may have. I am always looking to hone my craft and become better. So with that being said, let’s begin. The bright white light glimmers off the rippling surface of the lake. The air is alive with noise. Seagulls honk and call out, flying to and fro in search of things unknown. They fly in formation, forming a V-shape as they slide through the warm summer air over the sparkling lake. Below them, people mill about on the lake walk. Some are heading to a destination, others are simply enjoying the view and the feel of the lake wind as it whips past their heads, sending their hair lashing about their head. Tall, brick buildings of different shades line the sides of the streets. Cars slowly meander their way down the road, wheels spinning round and round as they pull the cars forward on the black asphalt. Nearby, the sounds of the freeway are heard, cars zipping by on their way further north. Suddenly, a foghorn noise slices through the air. Up ahead, past the rows of brick buildings, a large blue bridge stands. Two pillars of interlocking blue metal connect the two humps that form the center of the bridge, one down below allowing cars passage over the river, and one above. And then, the metallic beast wakes up. Engineering kicks into action as the lower part of the bridge begins to slide up along the pillar, with a ding-ding-ding of the warning bell. Another metallic beast slides through the water, this one of red, white, and black. Some of the people milling about stop in their tracks to watch the sight. Most are familiar with it, but some perhaps are seeing it with their own eyes for the first time. The large sea-faring beast slides directly under the bridge, emerging on the other side and continuing on its scheduled path. The lower hump slides back down, locking back into place a minute later. The whole scene takes maybe five minutes. The performance concludes, and the audience leaves, returning to their original actions. Rays of sun stream down on the beach, illuminating the entire scene with a warm golden glaze. On the other side of the platform is a strange yellow device, mounted on something that looks almost like a camera tripod. Something that looks like a tiny telescope sits on top of it. A blinking green light turns on and off every few seconds, and the back of the device has buttons labeled with “+x” and “-x”, “+y” and “-y”, along with the power button and a reset button. To the left of the buttons is a screen that lights up when the device is turned on. This side of the platform has a stone staircase leading up to the building of faded brick, and another rickety door. A faded white fence lines this side of the platform, with a hole in it that leads off into the woods. A sign nailed to the plank above the fence reads “Dowerton”. A large, faded wooden walkway stands over the rail tracks, connecting this side of the platform with the station itself. A far-off whistle can be heard sometimes, and the clanking of ancient wheels upon the metal tracks can be heard. But the trains haven’t come here in decades. The old railroad tracks head off into a tunnel of seemingly infinite blackness on both ends. The old brick building overlooking the station hides a decades-old mystery, waiting to be unraveled. The water churns and splashes upon the shores of the island. The wind is steady and strong, and nothing else can be seen on the horizon. There is a dock on the island, with what appears to be the crow’s nest of an old wooden ship sticking up above the water. 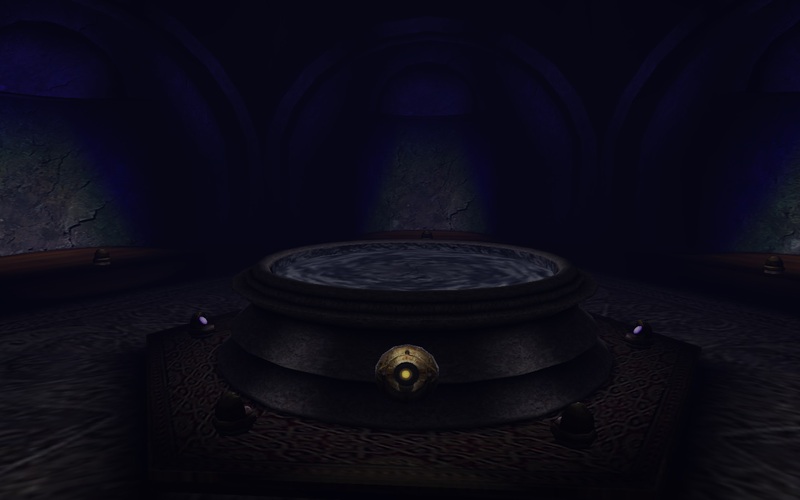 A strange blue metal door slides open upon touching it, revealing a dark passageway beyond. 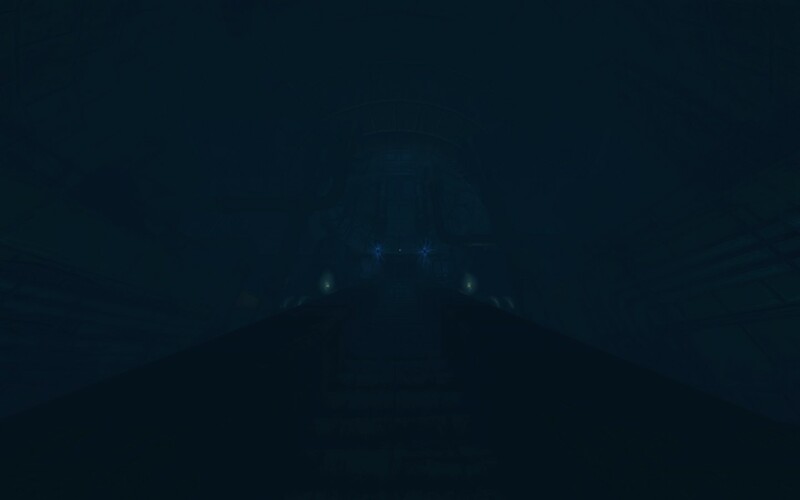 At the other end of the dock is a set of stairs that leads up to a strange giant gear, silent and immovable. Above the blue metal door is a wooden path leading towards the center of the island. On the right are two buildings, the closer of which has a door with a strange gold emblem on it. The further one has stone pillars surrounding the entrance, and inside is some sort of library. A large bookshelf is embedded into the wall directly opposite the entrance, and two books line the sides of the room, one red and one blue, each with a matching color page next to it. A landscape map of the island is on the left side of the entrance coming in, and two paintings are on the back walls, one showing the bookcase concealing a passageway, and the other simply showing the main entrance. Outside a set of black cubes sit on four skinny black metal legs. One side of the cube has a light brown inset with a symbol on it, different on each cube. There are eight in all, with such symbols as a snake, an eye, and an anchor. Each cube sits in front of a small circular stone pillar. In the middle of this courtyard is a big stone basin, with a scale model of a ship that is mostly underwater, but has the crow’s nest sticking above it. To the left side of the library is a path leading towards a strange, retro-style golden-colored rocket ship. Electrical wires lead from it to a strange brick building which contains a staircase that leads underground. A row of trees lines the path from the courtyard, and the brick building sits on the right. On the left is a small wooden cabin with a boiler and a locked metal safe inside. Behind the cabin is a gigantic tree inset into a large, red brick foundation like a pedestal of sorts, with a wooden railing encircling half the tree trunk. At the end of the path lies a tall gray building with a clock on it, notated in Roman numerals. An arrow intersects with a crescent moon to form a symbol that sticks up from the roof of the building. It is cut off by the water, and there appears to be no way to reach it. A set of wheels, one large and one small, with a red button are sticking out of a metal box that stands at the shore before the building. The wind and water are the only companions here. The former flows through the tree branches, while the latter continually splashes unto the shore, the only sounds present. Large, towering trees of green surround the area. The terrain dips and lifts, with steep hills and cliffs overlooking the beautiful blue lake, shimmering in the afternoon sun. It’s peaceful here, as there are few people around. Every now and then you can spot a canoe or kayak making its way through the water, the people on board making repetitive strokes with their oars as their boats slice through the calm lake. A winding narrow road surrounded by trees leads up a steep hillside. The road is bumpy and uneven, with rocks and sometimes fallen branches lying in the middle of the road. Up on a small hill to the left of this uneven road stands an old wooden cabin, nestled away in the trees. The cabin forms a triangular shape, being known as an A-frame cabin. Inside there is a large stone fireplace standing in the center of the cabin, with a large black chimney. On its left is the kitchen area, with an old-school refrigerator and a small counter-top with a black microwave on it. On the other side of the counter sit little wooden stools, and beyond that is a small table with wooden chairs that have white and red cushions stitched on. To the right of the fireplace is a couch, old and worn but still comfortable. Above one end of the couch sits a tiny rack of books, with an old black bound book that reads “Cabin Log” on the inside. Behind the fireplace are two bedrooms separated from the main area by curtains, and a bathroom sits to the back right with an old composting toilet. A low hum of power reverberates through the building. A steep wooden set of stairs climbs up to the loft area. Here there is a mattress lying on the ground for any visitors to sleep on. A large black TV sits across from it, one of the final additions to this place. A small wooden walkway with a red magnet tied unto the railing (for a little dunking game with a bucket of refrigerator magnets) leads into the loft bedroom. Here, a large bed on a frame sits against the wall, and above it sits a gray fuse box. From here you can look down on the large stone fireplace that sits in the center of the cabin, and you can look through the rectangular window embedded into the right side of the cabin to see the sun streaming through the trees. The small window at the back of the loft bedroom gives you a decent view of the lake, although it is partially blocked by trees. But none of this is here anymore. Instead, a pile of gray ashes and melted metal stands with a stone foundation where the cabin once stood, brought down by fire. The wind blows through the trees, and the cabin is nothing but memories. Place number one, as some of you may have guessed, was the city of Duluth Minnesota in the summertime. Specifically, I focused on the Canal Park area of the city, with its large buildings, lake walk, and iconic aerial lift bridge. My goal here was to simply paint an image of a place, and of an event (a ship coming through under the bridge). I wanted to capture the feel of Duluth in the summertime, and perhaps imprint on you why Duluth is such a popular summer vacation city. The area is absolutely gorgeous in the summer, and is a great place to be. Place number two is not a real place. It is rather the outside area in the game Dark Fall: The Journal, a name some of you might remember from last week’s post along with the post on the paranormal. For this one I wanted to capture the haunting atmosphere of the area, and give you a sense of the foreboding feeling it has. A large part of Dark Fall had to do with the atmosphere, and I wanted to try to capture it. It’s a very decrepit place, and it shows in the game. It feels very isolated and cut off from normal civilization. There’s a strange unearthly feeling to the area, and the vague sense of ghostly happenings permeates the scene (the far-off train whistle I described is actually in the game sometimes). Place number three is also not a real place, but rather it is the island from Myst, another game you might remember me talking about last week. For this one I wanted to capture the beauty and isolation of this mysterious island. I wanted to try to make you feel like you were standing on this strange island with nothing else in sight. I wanted to take you there, so that you could see it in your mind as I described it (a good writer’s goal is to show, not tell). There’s a lot of interesting detail in this island, and I tried to capture that as well. The final place I described actually exists in reality (or rather, did). It’s set in the Boundary Waters Canoe Area up in Cook County, Minnesota. But specifically, it was set inside an old cabin my family used to own. The infamous Ham Lake Fire of 2007 was responsible for its demise. This piece was interesting for me, because I was trying to capture the scene all from memory. It’s been seven years since the cabin burned down, so it’s an interesting challenge to try to describe a place I haven’t seen in nearly a decade. I wanted to take you to the cabin where I spent many of my youth vacations. It’s isolated, and cut off from civilization, but that was a good thing for me. Sometimes it was nice to get away from it all for a week or so. So please, comment below how you think I did. Feedback is always appreciated, and I know this is something I need to become better at. So comment below, let me know what you liked or didn’t like. If you just want to say “I love Duluth in the summertime”, then by all means. So thanks for indulging me this week, and tune in next Wednesday for another post. Until then, have a great week everyone. Wait…this is getting awkward. Let’s start that again. 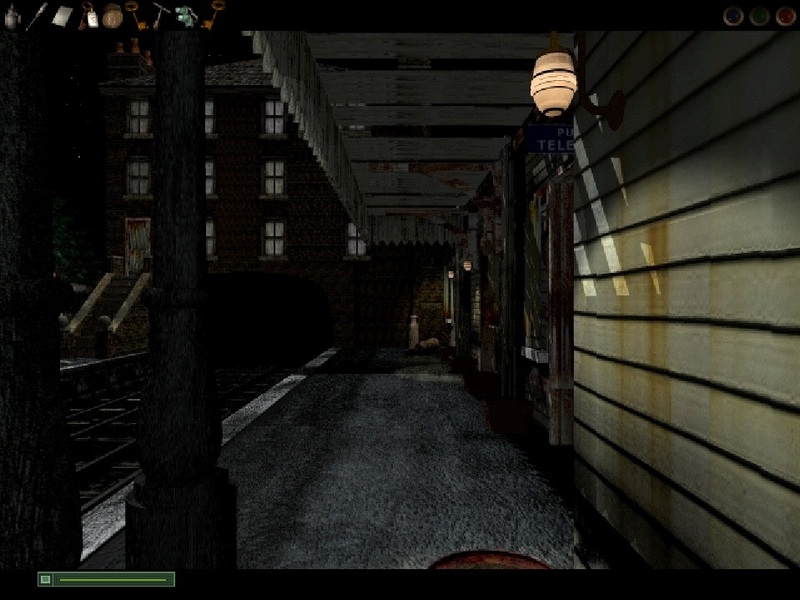 Point and click adventure games are one of video games’ oldest genres. They are in some ways a natural evolution of text adventure games such as Zork. 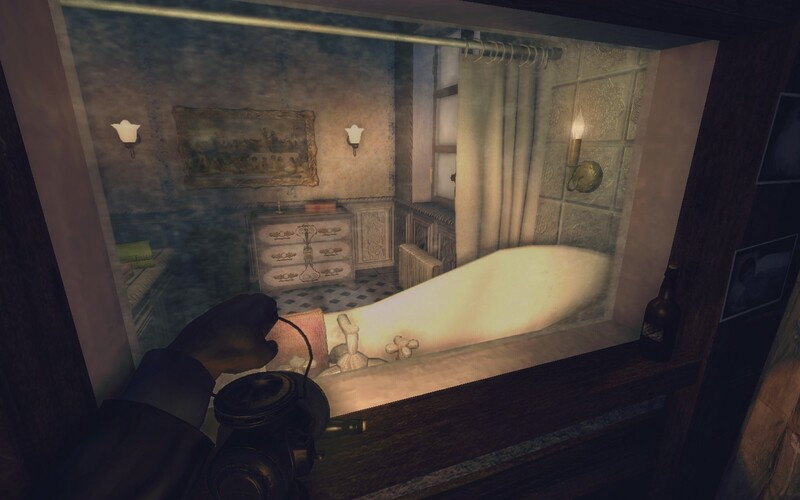 Point and click games are based around simply that: pointing at objects with your mouse and clicking on them. Movement through these games is very rudimentary. Nowadays most games are played through a full three-dimensional perspective, where you can walk around freely and look at anything you want. But back in the day, point and click games were akin to viewing a series of paintings. You searched for the items or clues you needed inside these “paintings” and used them to progress through the game. And speaking of progression, story progression in these games was not just relegated to cutscenes (video clips that stop the game to tell you a story or highlight an event). Sure they had them, but most only used them to start and end a game. Much of the story would be told through notes or recordings, things of that nature. 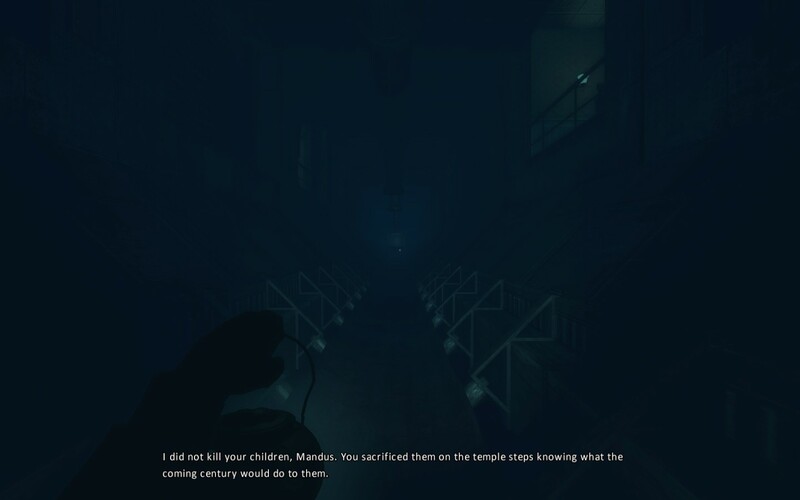 This kind of storytelling became very prominent in modern horror games as a way to keep you immersed in the environment while still telling a story. And it all began with point and click games. One of the earliest and most memorable point and click games was Myst. The magic of Myst was something to behold (realMyst). 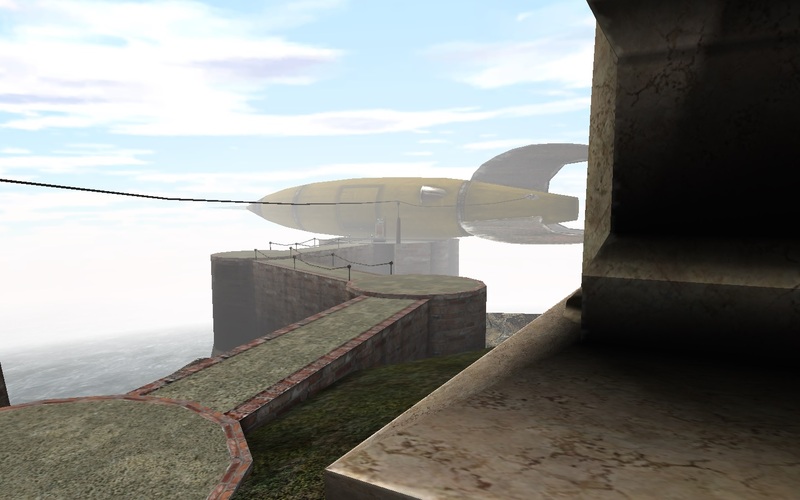 Myst is one of those games that transcended the boundary between gamer and non-gamer. Even those who don’t play games hardly at all have usually heard of Myst at one time or another. Myst was developed by a company called Cyan (now known as Cyan Worlds) and released in September of 1993, twenty-one years ago at this point. 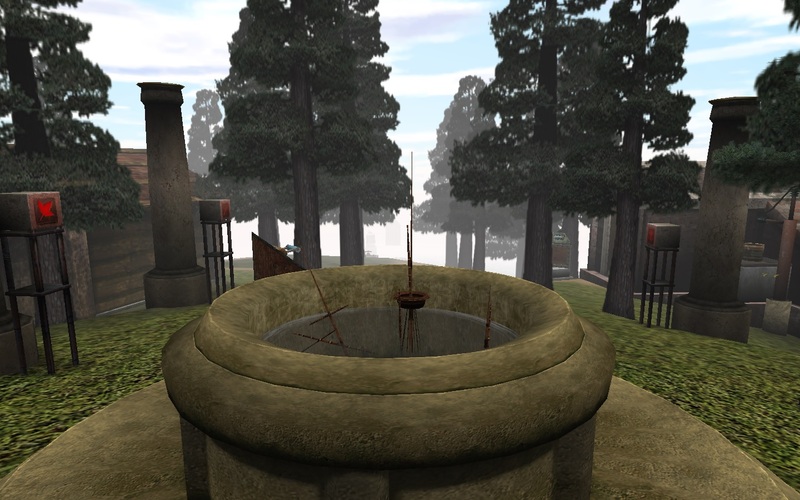 Upon release Myst was a commercial success, being the bestselling game on the computer until The Sims in 2000. It baffled some, who considered Myst to be little more than an interactive slideshow. It amazed others, who considered it evidence that games could be an art form. The story of Myst is simple. You, the player character, are whisked away to a strange island after reading a book. While exploring the island you discover a tragic story. A man named Atrus reveals in a recording to his wife Catherine that one of their two sons has done some horrible things. When you enter the island library you discover a red and blue book, which are essentially prisons for the brothers. Each one claims the culprit is the other, and begs you to retrieve the missing pages so they can be free. The beauty of the game is that there are no time constraints, no arbitrary pressure to complete the game in a certain way or time frame. You’re left to your own devices to discover and seek out the truth behind the tale of Atrus’s sons. There’s no order you need to do things in, and if you know what you’re doing, you can even complete the game in under ten minutes if you have the solutions you need. But Myst is not about completion time. Myst is about the journey. So you might be asking how I fit into all this? After all, the title is about my relationship with these types of games. Well allow me to explain. Myst is one of the first video games I’ve ever played. I’m sure it was not the first (I can’t actually remember the first game I ever played), but it certainly had a profound impact on me, even if I didn’t understand it until much later in life. I found myself drawn back to it in my later years, even with a bevy of modern games to play. As video games evolved, point and click adventures seemed to fade away. In the minds of gamers, they were generally regarded as archaic and old-fashioned. Myst‘s legacy would live on, and sequels were made. But they never quite captured the success of the original. And for me, few games ever captured the sense of intrigue that Myst had generated for me. I never really understood why Myst had captivated me so until far later in life. 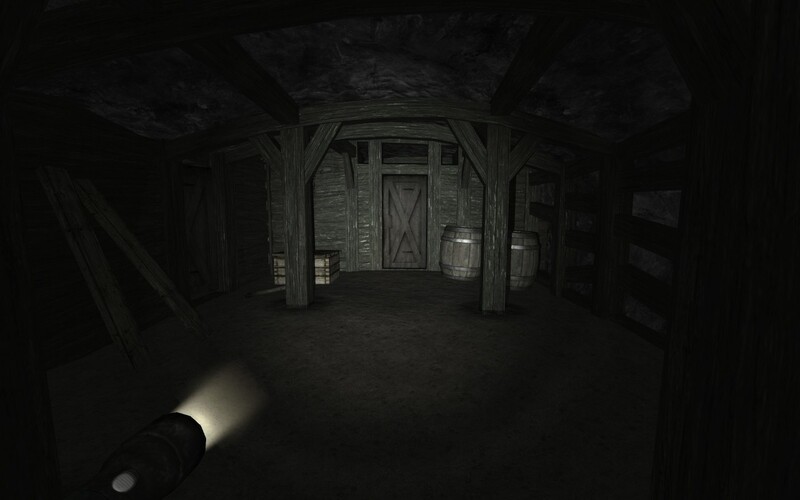 I think it first started with the Penumbra games, a series of horror games developed by Frictional Games who would later go on to make Amnesia: The Dark Descent. While playing that game, I was captivated by the sense of exploring an environment and discovering the story bit by bit, not through heavy-handed cutscenes but through my own thorough exploration of an area. 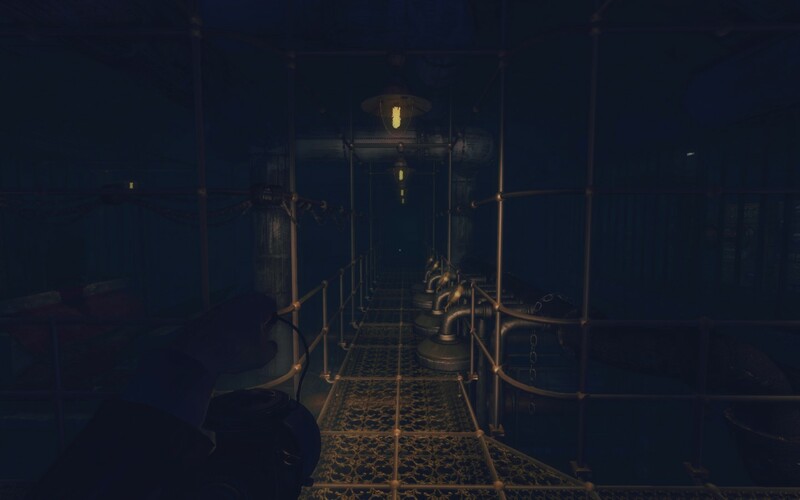 Sure, both Penumbra and Amnesia still had the modern trappings of games with voice acting and a linear progression style, but it was that sense of discovery and exploration that I had so sorely missed in much of modern gaming. But I still hadn’t fully realized that yet. In fact, it wasn’t until just a few years ago that I finally did. Penumbra Overture, the first of three games. As video games progressed they became far more technologically advanced and began dealing with some pretty brutal subject matter, being decried as an incredibly violent form of media by some. But few games explored much beyond the typical heroic story of good fights evil or macho men with guns defeat horrible alien or terrorist menace. Now, I’ve played a lot of these games, and enjoyed many of them, but there was still an itch I had yet to scratch. You might remember from my post a couple of weeks ago about the paranormal that I mentioned the Dark Fall games and how they allowed me to get back in touch with my fascination in the paranormal through the lens of video games. You might also remember that they are point and click adventure games. But they were not the ones that rekindled my relationship with the point and click genre. For that, we must turn to an abandoned Victorian-era mansion, caked in dust and hiding the tragic secrets of a wealthy family. I first heard of the game Scratches a while before I actually played it, about a couple of years before I believe. I stumbled on it by chance, and initially disregarded it as the website I was on gave it a really poor review. Since then, I’ve begun taking video game reviews with a grain of salt, and when I ran into Scratches again on a site called Good Old Games (or GOG for short), I picked it up after a while. I didn’t regret that decision at all. Like I said, nothing original. It’s a setup we’ve seen before in horror, and the way the game plays is pretty much similar to Myst, albeit a lot more linear. 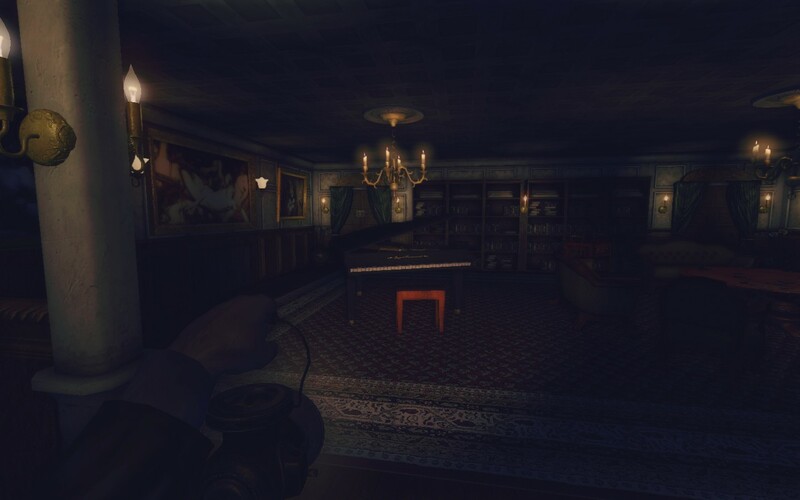 You have to explore the house and discover its secrets through solving puzzles and reading notes. 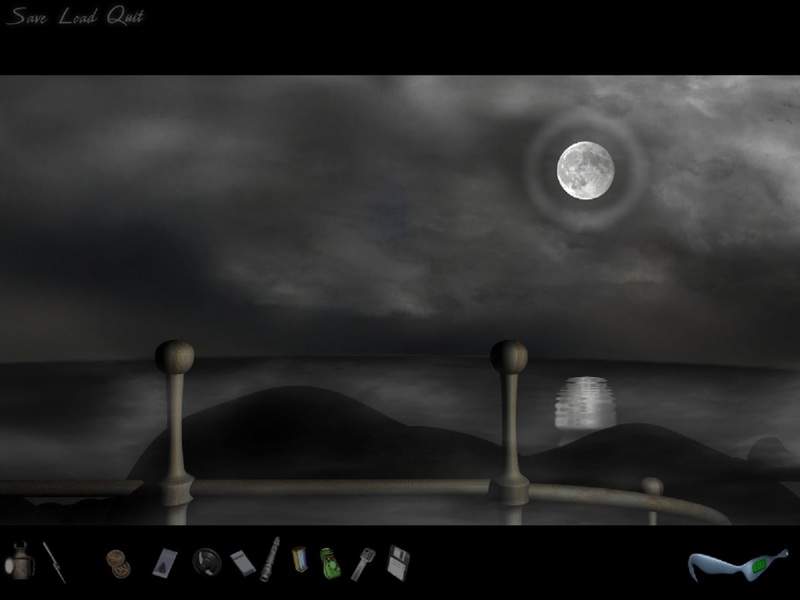 So why was Scratches responsible for reinvigorating my interest in the point and click genre? I chalk it up to one simple thing. 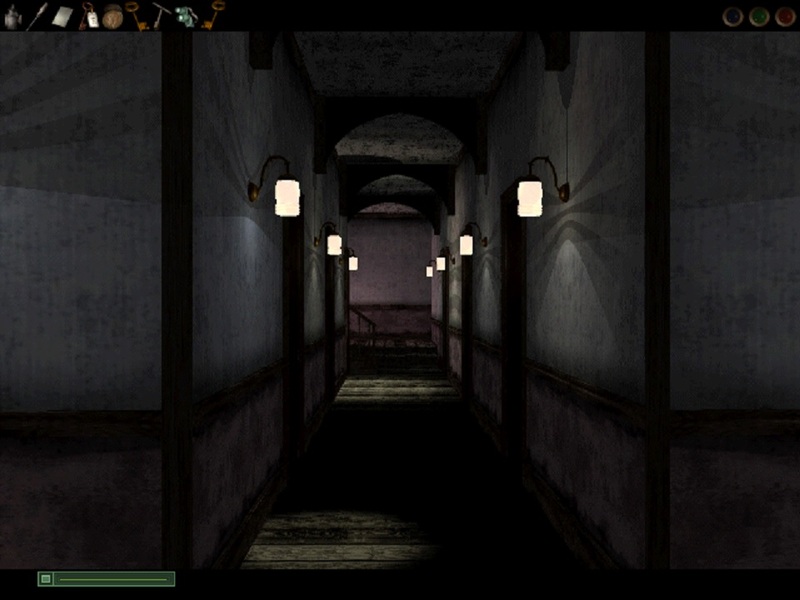 The game is freaking creepy, far creepier than a point and click game has any right to be. I’m completely serious. The night-time sections of the game sent shivers up my spine. When you wake up in the house in the middle of the night to strange scratching noises echoing through the walls…it’s just unnerving to say the least. I was legitimately engrossed in the story by the end, even with it being laden with familiar horror tropes. And that’s when I started looking for other games similar to it, fueled by a love for story and an interest in horror. I actually even picked up realMyst, a remake of the original Myst, to help me recapture the feeling I once had. This is where the Dark Fall games entered the picture. I also purchased these games off of GOG, starting with the first game, Dark Fall: The Journal. As some of you may recall, I mentioned in my post a couple of weeks ago that Dark Fall: The Journal was set in an abandoned hotel overlooking a train station where all the guests and staff disappeared mysteriously one night in the 1940s. Again, I was drawn in by the atmosphere and the exploration, and in the end I immensely enjoyed the story even if it had familiar tropes in it. And no, I did not receive an answer to my question. (Dark Fall: The Journal). I slowly began to realize what it was about Myst that captivated me so. It wasn’t the story itself (Myst’s story often felt like background noise to me, despite it’s complexity), but rather the way it was told. It wasn’t told like it is in a Japanese Role-Playing Game (JRPG), where the game takes away control from you and forces you to watch essentially a mini-movie at times. Instead, it allowed you to explore and discover the story on your own bit by bit, piece by piece. It didn’t hammer the point home, but rather it allowed you to get as much out of it as you wanted. Sure, there were still times when you watched or listened to a scene, but these were usually short and infrequent. That’s what captivated me about Myst and I experienced that in both Scratches and Dark Fall. I was able to piece together the story through my exploration (and, in the case of Scratches, telephone conversations). There’s nothing wrong with the JRPG method of having you watch a little movie, but in my opinion it sometimes feels like such an inelegant way to tell a story, especially in a medium based on the idea of interactivity. You can tell a story this way, and some of my favorite game stories have been told this way, but there’s something to be said for the idea of player agency, that the player controls aspects of the game and its progression through their actions. 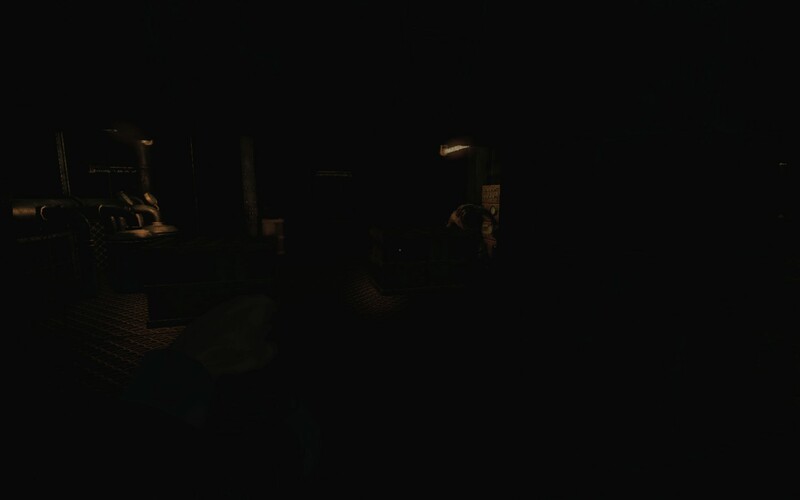 Now, Dark Fall wasn’t downright scary in the way that Scratches could be, but it had that atmosphere about it. There was an ever-present sense of ghostly activity as you wandered through the abandoned hotel and train station. It captivated me in much the same way that the mysterious isolation of the island in Myst did. I wanted to know more about the place, so I went on to seek it out. 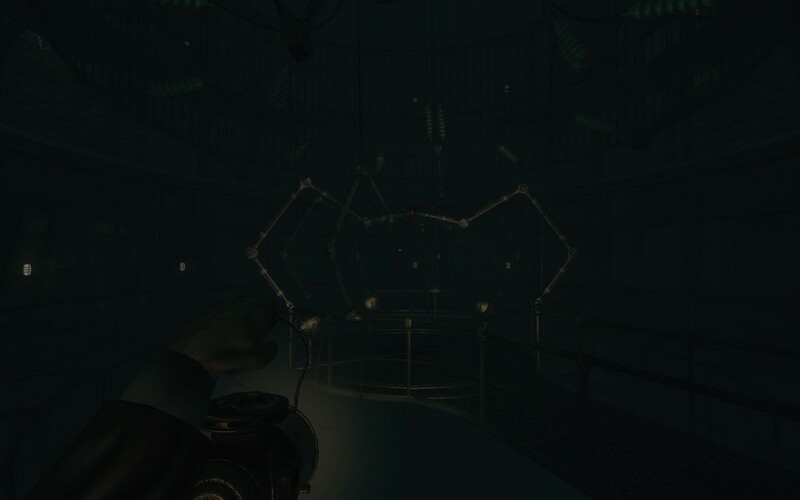 After completing Dark Fall: The Journal I went on and picked up its sequel, Dark Fall: Lights Out. This one ended up being an incredibly different adventure. 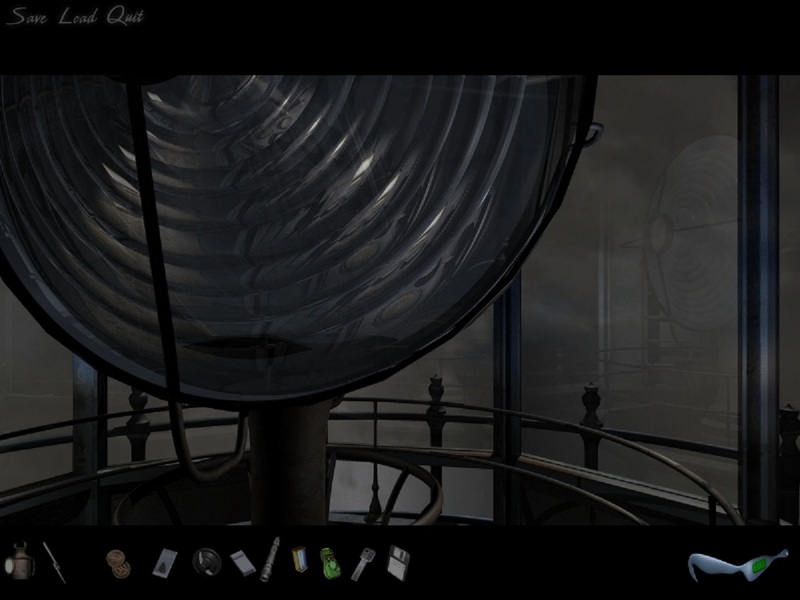 It still had all the ghostly events and atmosphere, but it was set in a completely different environment: a lighthouse. 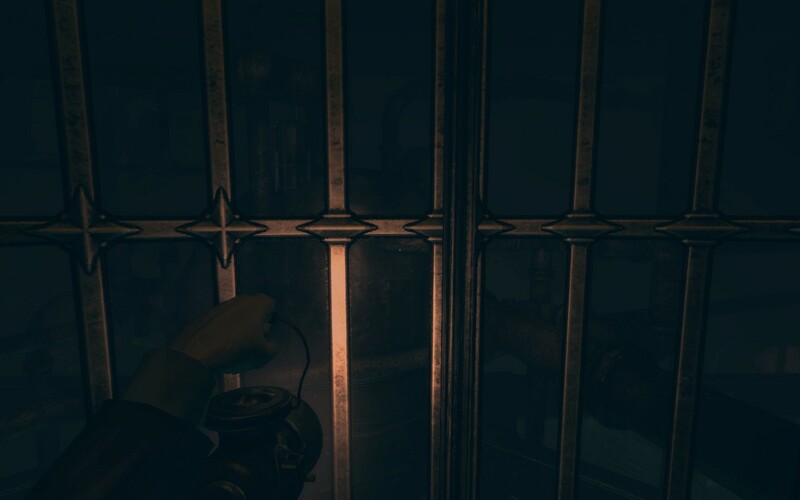 As Benjamin Parker, you go out to the lighthouse one foggy night because the light has failed for some reason. When you land you find no trace of the three lighthouse keepers, and discover a tale of horror within. One of the keepers started acting strange and distant, and the other two became afraid of him. 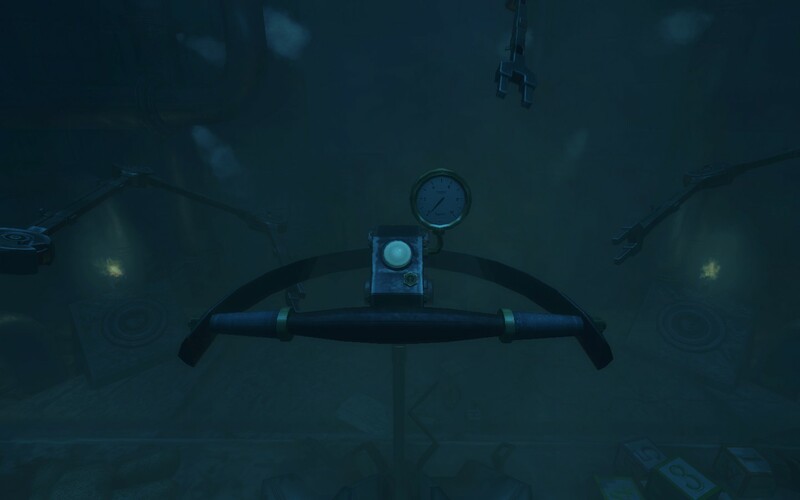 After reading a lot of diary entries and generally getting creepy feelings, you find your way into a cave below the lighthouse. And that’s when things get really interesting as you are suddenly and inexplicably transported from 1912 to present-day 2004. Yep, it just got real. Dark Fall: Lights Out actually ends up feeling more like a sci-fi story than a ghost or horror story. This isn’t a bad thing at all, as sci-fi is my genre of choice when it comes to stories. It is in this way that the story of Dark Fall: Lights Out becomes far more intriguing than its predecessor, at least for me. It actually feels almost like a good novel, with the appropriate twists and turns. Science fiction and horror are actually far more intertwined than most people understand or expect, something I learned in a class down at Century College. Mary Shelley’s Frankenstein, the original novel, was a horror story but contained trappings of what we know today as science fiction. And I went on from there, picking up several other point and click games and other types of adventure games that had similar focuses on exploration and discovery. Many were good, others not so much, but the main idea for me was the idea of being left to your own devices and discovering the world or the story through your own actions. That’s what I loved so much about Myst, and it’s what I missed a lot in modern gaming. I had to turn to a genre of games that aren’t even considered games by a lot of gamers before I recaptured and fully understand that feeling and desire. But despite this general feeling of disdain that many have towards the genre, it has still impacted games in a significant amount of ways. The idea of discovering the story through notes and recordings is something that most likely began with Myst itself, even if it took a decade or two for it to really reach its full effect. 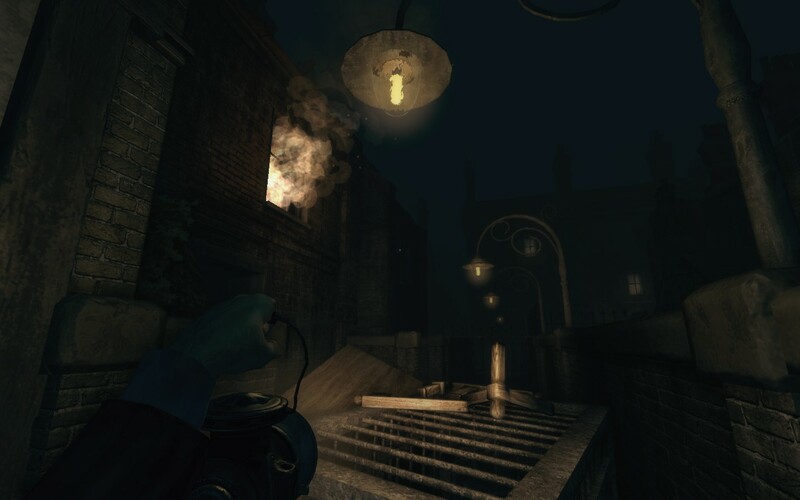 Penumbra and Amnesia are two great examples of this idea of storytelling. You still get bits of story through audio flashbacks and the like, but much of it is told through the notes (and in Amnesia the important ones are actually read to you). There is one modern game that I think is the epitome of this idea. The rain patters down on the roof as a solitary girl stands on the porch with her luggage. She’s been gone for a year, studying abroad in Europe. She’s excited to see the house and her family, but tacked to the front door is a note from her sister begging her not to look for her. But when has anyone ever followed that advice? Gone Home is a wonderful achievement of a game, and a perfect example of the impact of point and click adventures. 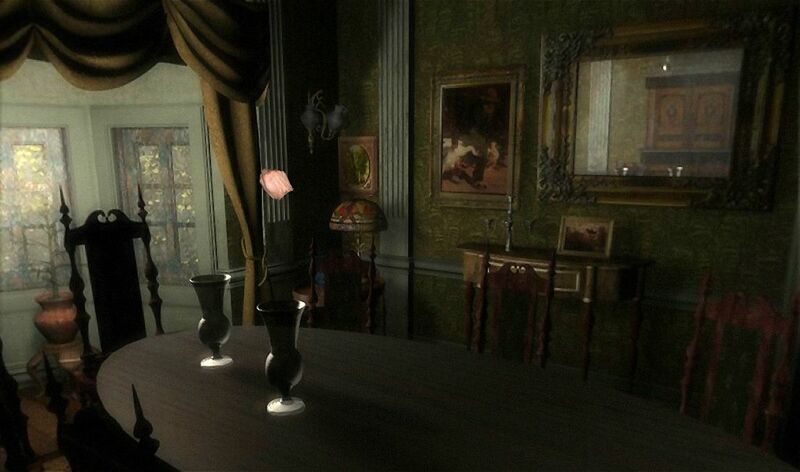 The entirety of the game’s story is told through your exploration of the house, with recorded diary entries by Sam Greenbriar (your character’s sister) being triggered whenever you examine a particularly significant object. Discovery and exploration, that’s what it’s all about. The magic of Gone Home lies in the story it tells and the way it tells it. It’s a tale of discovering one’s identity, told through the objects that we use to identify ourselves. Most objects won’t trigger anything, but the significant ones will trigger Sam telling you a story that relates to that object in some way. It’s a deep, meaningful experience that I say proves that video games are capable of handling grounded and realistic subject matter that engages you in a way a book or movie never could. In this way, Gone Home is the perfect testament to the legacy of point and click adventure games. 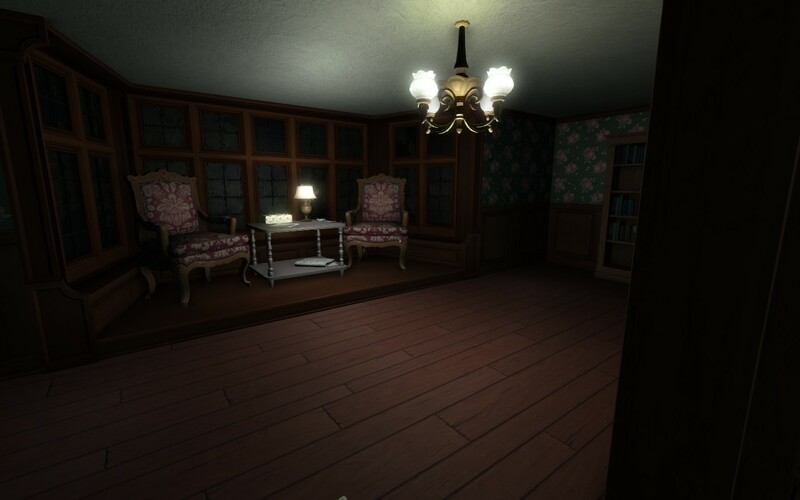 I’d love to say so much more about Gone Home, but that will require another post. This post was focused singularly on the history of point and click games and my personal relationship with them. Gone Home is a wonderful game, and deserves to be considered on its own as a defining achievement of video games as a form of media. Video games have come a long way. They started out as simple little curiosities, often being little more complex than a tale about a man in red and blue overalls saving the princess. But from there they evolved into incredible representations of fantasy and reality, often being the target of people who didn’t really understand them and who blamed them for the corruption of youth (in much the same way as rap, rock music, comic books, and so on). But among the noise of gunfire, crime, and machismo present in many games can be found a quieter and more meaningful experience, if you know where to look. But video games are not about the one or the other. Video games are about the spectrum of experiences to be had, from here to there to everywhere. They are the sum of tireless hours of work from many different people. And they are not going away anytime soon. And that’s all for this week’s post. Jack your Ethernet cables directly into your skull to download next Wednesday’s post directly to your brain! Or just read it here. That would probably be easier…….and less deadly. Until then, have a great week. Author’s note: The picture from the video game “Scratches: Director’s Cut” was taken from the Steam store page for the game (here). I was unable to take my own screenshots within the game, and had to find another source. 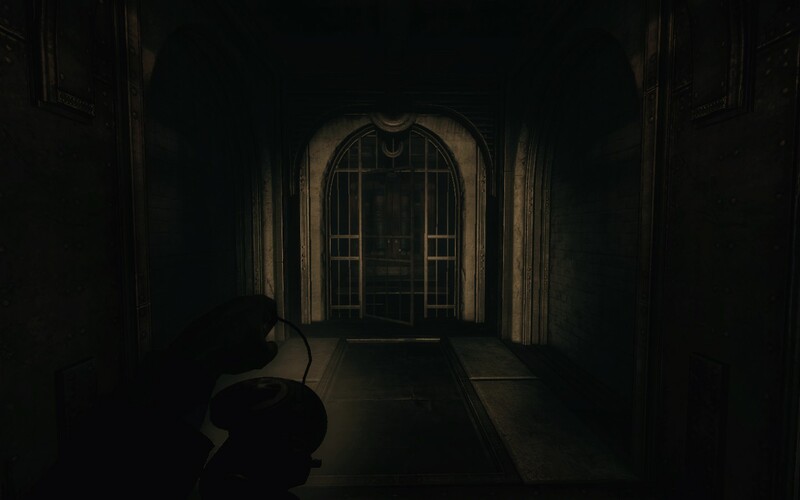 A bit of forewarning, the following post is going to spoil the entirety of Amnesia: A Machine for Pigs and a little bit of The Dark Descent as well. If you haven’t played through either and want the plots of one or both to remain unspoiled, avert your gaze now. If you’ve already played through them, or just don’t care, then read on. This is not a review, this is my personal analysis of the game’s story. This line is only said once in the game, but it’s a powerful and important line. It has multiple meanings, multiple interpretations, and ultimately is as complicated as the game’s plot. But before we jump into A Machine for Pigs itself, some background is necessary. 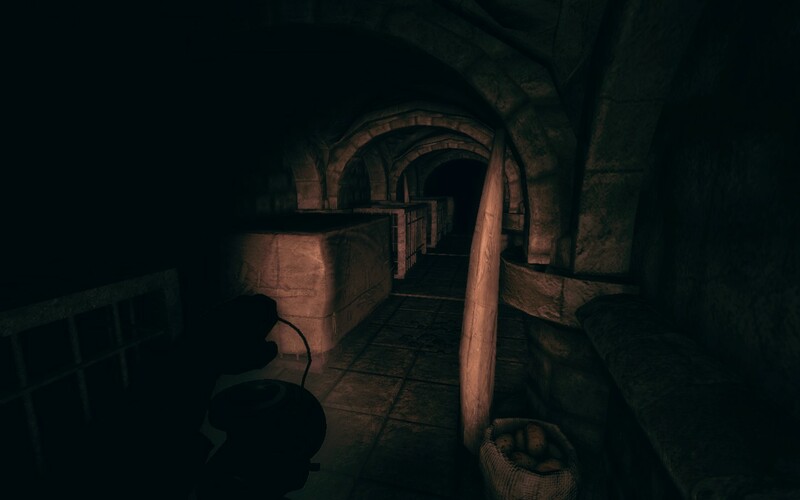 Amnesia: The Dark Descent was a video game released back in September of 2010, and was a horror game predicated on the fact that your only defense was running away and hiding. It was made by a company known as Frictional Games, whose previous efforts, known as the Penumbra franchise, had a small cult following. 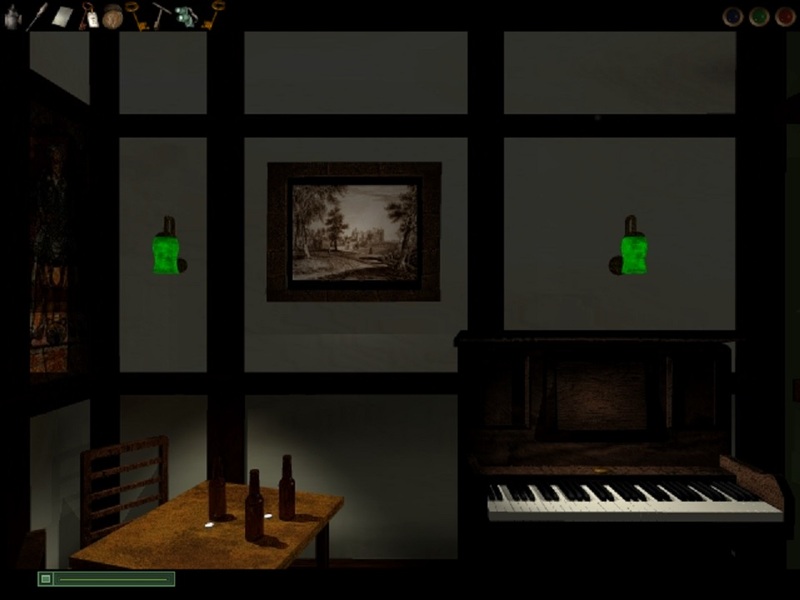 Using their knowledge of spooky things happening in spooky places, Frictional took what they learned from the Penumbra games and created a totally new world. 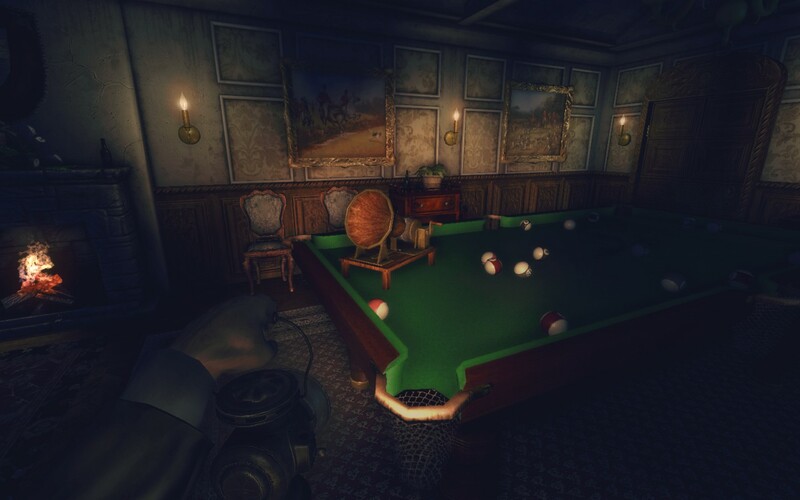 Frictional Games wasn’t super well-known outside the indie world, but Amnesia would change all that. When The Dark Descent hit, it sent a tidal wave through the gaming community. 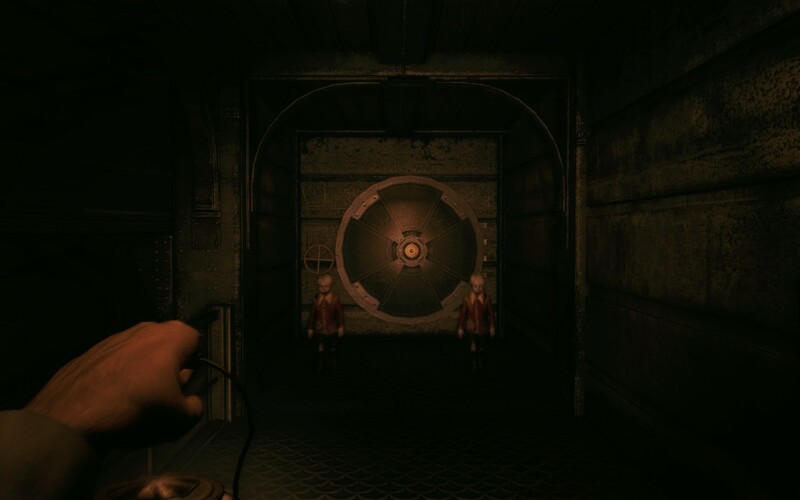 Here was a game that, instead of relying on cheap jump-scares and loud noises, built up an atmosphere and generally terrified people by forcing them to look away from the monsters to spare their character’s sanity. The game jump-started the career of many a let’s-play channel on Youtube, with it being the first game many people played on their channel. The multitudinous screams of “OH GOD NO” while barreling through dark castle hallways soaked up the views, and a new video phenomenon was born. 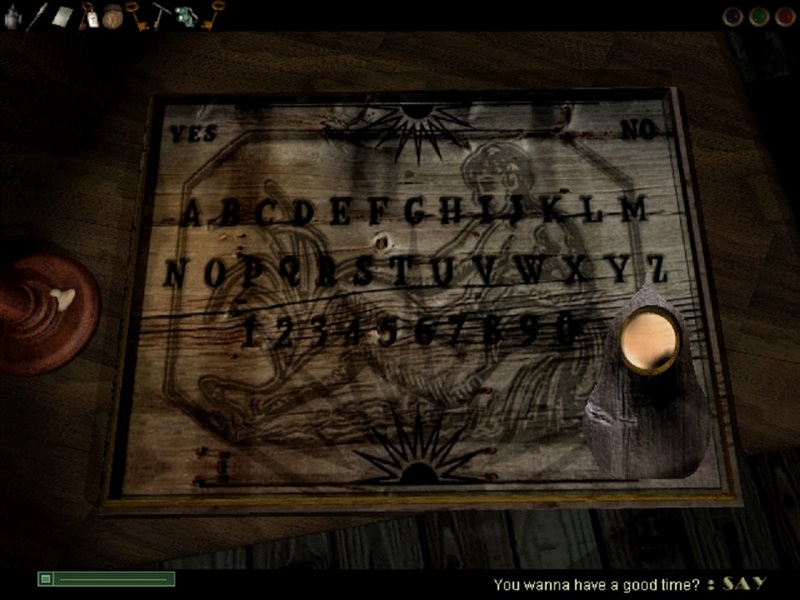 Fast-forward three years later, and another Amnesia game was on the horizon. Would it be as good as the first one? Would it set off a new wave of terrified let’s-play videos on Youtube? No one really knew. What no one could have predicted was the incredibly polarizing effect A Machine for Pigs would have. Some loved it, taking note that the story it told was far more complex than The Dark Descent. Others hated it, citing that the shift in gameplay style and simplification of game mechanics betrayed what they loved about the original. Despite the differing opinions one truth stood out. A Machine for Pigs was a different beast than its predecessor. 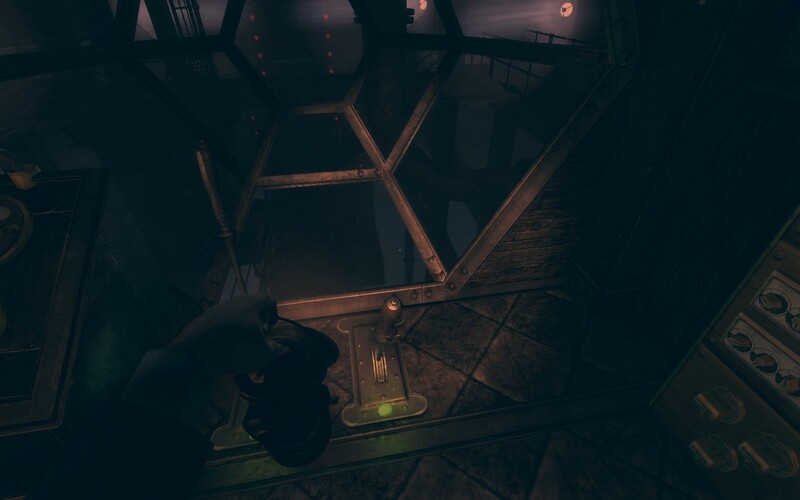 So join me as I explore the tale of insanity, greed, and woe that is Amnesia: A Machine for Pigs. Something sparks to life in the darkness, something that is, but should not be. A low rumbling can be heard as it begins to stir. Red lights begin to flip on as the sparking increases, foretelling its activation. And then, with a loud clanking, something spins to life, shattering the air and shaking the ground. The game opens on New Years Eve, 1899 in London. Our protagonist, Oswald Mandus, wakes up in bed with a fever and haunting visions. Pulling himself to his feet, he can hear his children calling to him from somewhere off in the darkness, his only company aside from a diary page filled with incoherent rambling. How much time has passed? What has happened? Why can’t he remember? Steeling himself, Mandus pulls open the bedroom door and ventures out into the hallway. The game begins. The story starts up similarly enough to other horror stories. There’s a vague call to action (in the form of Mandus’s sons) and a strong sense of foreboding. The game doesn’t take long to show us that things are not exactly good around here. For example, why are there cages on all the beds? And why are so many doors barred shut? Where is everyone? Certainly not a standard feature in Victorian-era houses. One of the first things we learn about Mandus is his wife’s death. “You lived long enough to see Edwin, but not Enoch,” Mandus solemnly intones as the player walks in to another bedroom down the hall. Evidently she died during childbirth, giving birth to the twins Mandus now journeys through the darkness to find. Continuing onward, we go upstairs and into the attic, where we find a diary entry from Mandus’s sons. The page adds further fuel to the idea that things are not alright in the Mandus household. Apparently they’ve heard their father crying a lot, and there’s a creepy reference to a pig in the backyard. 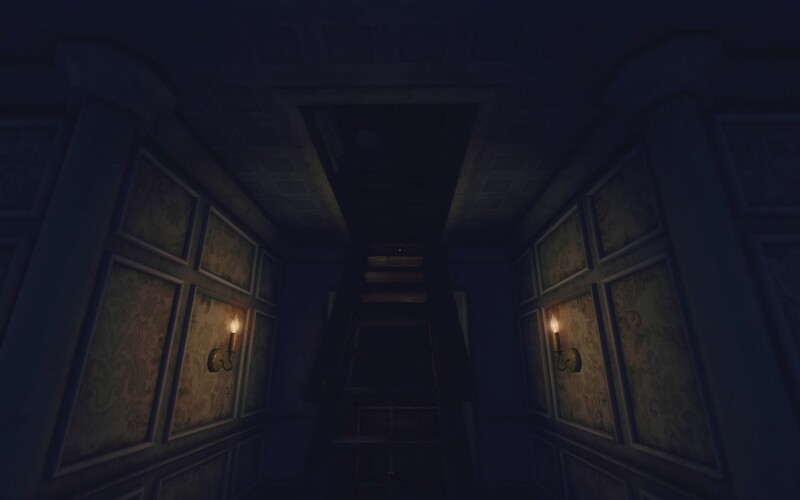 Grabbing a lantern, we continue through the attic, accompanied by the teasing voice of the children and a rather creepy music box tune rippling through the walls. Floorboards creak and things go “thump” all the while. Everyone’s favorite dark happy place, the attic! We find another page a minute later, this time from Mandus’s diary. In it, he recounts a snippet of a trip he and the children went on to Mexico. Mandus had been in search of some kind of financial opportunity, apparently in the form of some old ruins he believes to be buried deep underground. Going downward we get our first glimpse at another common storytelling tool, the audio recording. Lying on a small table is a little hand-crank machine that looks almost like a tiny phonograph. 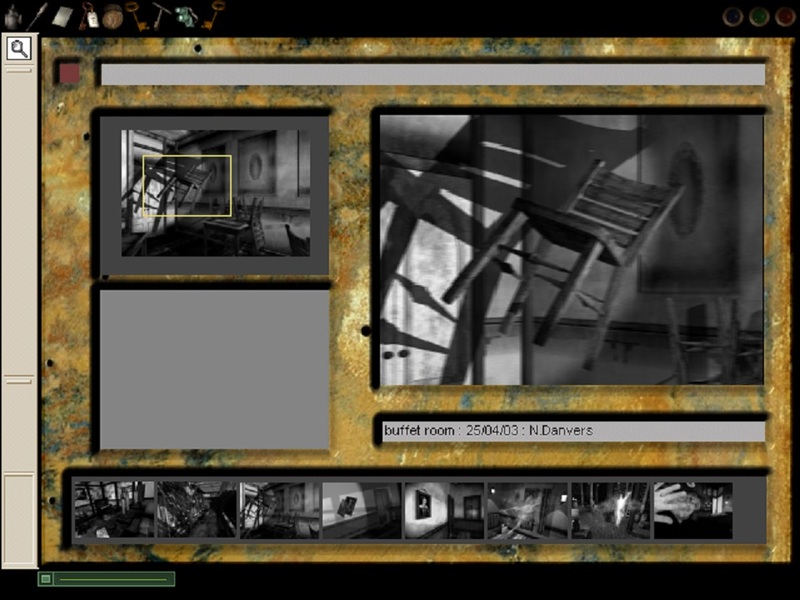 Interacting with it causes a conversation to play back, one between Mandus and a character known only as the Professor. This one really only serves to highlight Mandus’s intention to record their dialogue, hinting at further recordings down the line. Honey, the piano’s playing itself again! Continuing through the house we start to get a sense for the immensity of the machine below ground. Several times the house begins to quake and shudder as something below begins to turn on. Chandeliers sway back and forth, paintings fall to the ground, and in one instance a piano slams shut as the entire house feels like it’s about to come crashing down around Mandus. Whatever lies below the house must be massive in scale. Going forward we learn several things. We learn that this Professor character was sent by some institute, or group, to check out the work Mandus has been doing ever since he returned from his trip to Mexico. We also learn that his trip to Mexico ended in tragedy, but of what kind we don’t know yet. We also get a glimpse at another character, a voice heard only over a strange intercom. This voice directs Mandus to restart the machine because his children are trapped below and that’s the only way to free them. Someone has sabotaged the machine and Mandus must fix it. Mandus knows the voice somehow but can’t place him. There’s also a network of secret passageways strewn throughout the house that (in true creepy fashion) have one-way mirrors that are situated, among other places, right behind the bathrooms. Yep, that’s a thing. After turning some valves we descend into some kind of steam-punk underground room that leads outside. Once outside we are treated to an audio flashback. Mandus’s children are telling him to come see what they’ve found: some kind of stone egg. 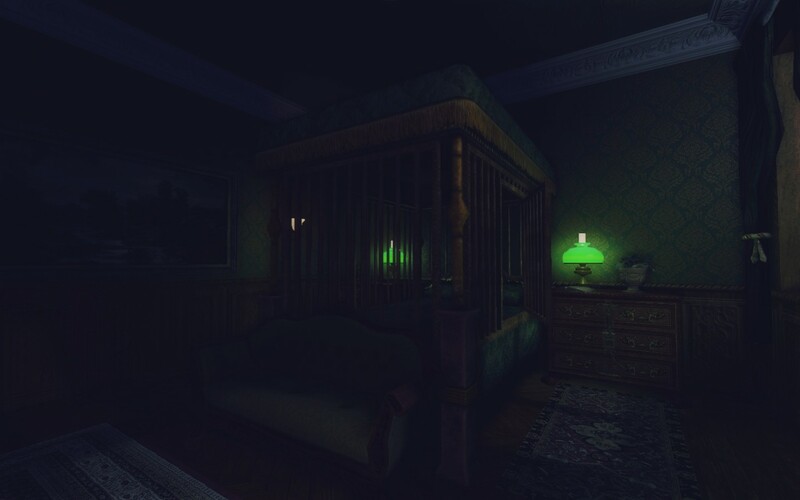 Those who know the story of the first Amnesia game might make the connection here, but we’ll explore this at a more opportune time. The steam-punk level design is truly something. After an accident with a falling pipe and collapsing stairs, we find our character wandering in a cellar filled with some strange and unknown chemical. After fixing more of the saboteur’s handiwork, and progressing through the dark and dank cellar, we find ourselves in a deserted factory area. Not much new information is gleamed here, but it is at this point that Mandus’s diary entries begin to take on the tone of a demented philosopher, frustrated with the world at large and striving to change it somehow. He also refers to some kind of “product” that his factory is making, but there’s no clue yet as to what it is. Of particular note here is an entry about the idea of a machine that could think like a man. Mandus rejects the idea, saying that such a machine would be nothing less than a god. 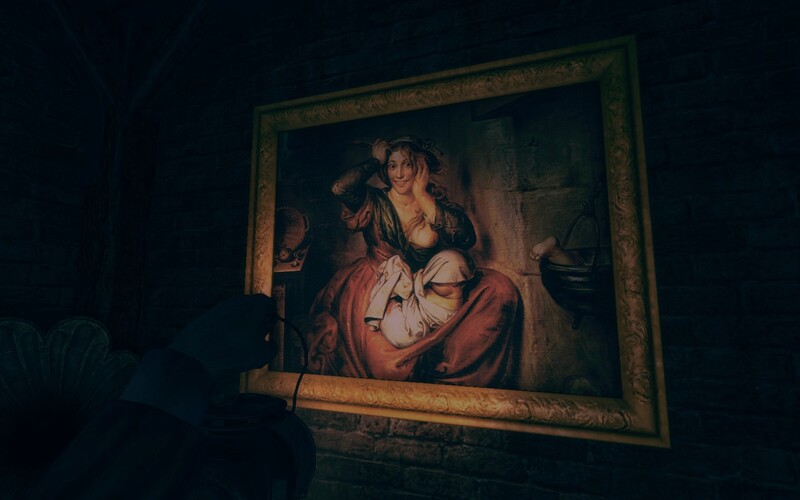 These paintings are always so creepy looking, or maybe it has to do with the FOOT IN THE COOKING POT. After a near-encounter with some monster lurking in the dark of the factory, and solving another puzzle, we set our eyes on the church, searching for a path underground. Inside the church we learn that Mandus was known for some charity he began rather recently (after the Mexico trip most likely). People revered him, and he walked among them almost like some kind of messiah. 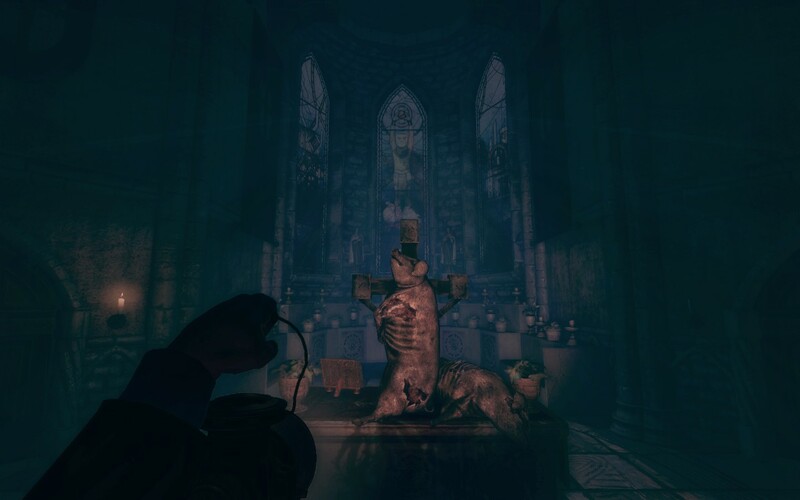 The altar, complete with creepy dead pig, is revealed to be hiding some hidden passage downward into the depths of the church. It’s a literal dungeon. Are these the “product” that Mandus’s diary refers to? One of the cages lurches forward as we pass, its occupant screaming for freedom. As we descend further, we have a run-in with one of the monsters. And it’s the first time we get a good look at it. It looks like some kind of bipedal pig abomination, squealing and roaring if it gets too close. It trots around slowly, almost pathetic looking in a way. Narrowly escaping it takes us outside again. After another stroll through an outside area, we enter into the heart of the factory. Another recording further cements Mandus as some kind of demented philosopher. He rants and raves about people in authority, calling them hypocrites and liars. “We can bring forth paradise now,” he exclaims. We continue onward, stoking the fires of the machine and plunging headlong into the dark depths of the factory. 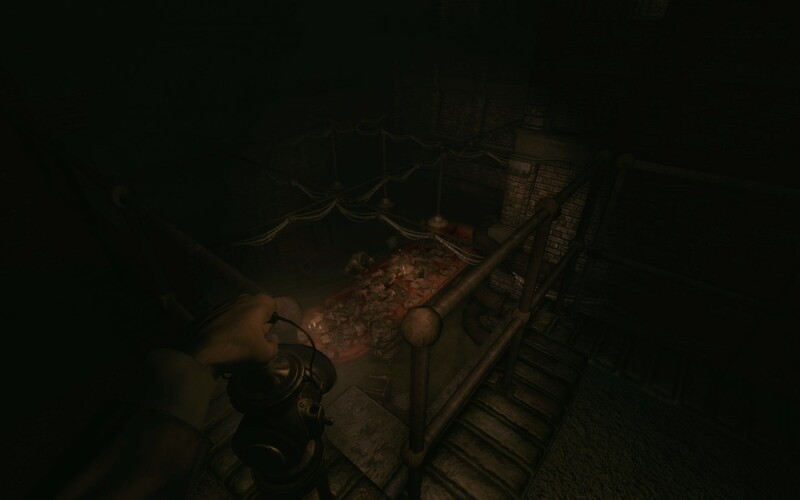 After a close run in with more of those pig creatures, we find ourselves in a dark lower area of the conveyor belts. 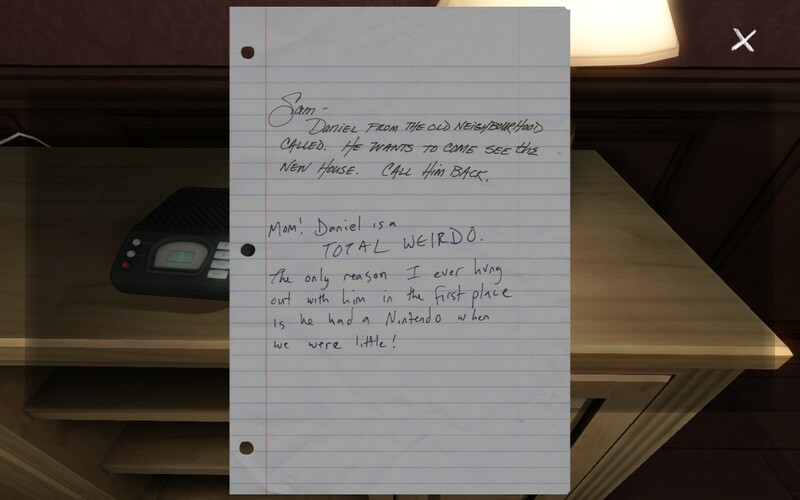 And it is here that we find a diary entry which finally connects the two Amnesia games in a significant way. This entry details the arrival of some corpse to Mandus. This body is described in such a way that it perfectly resembles one of the monsters from the original Amnesia game, leather straps binding the chest and all. Those that remember the original game’s story might remember that the antagonist, Alexander, created these monsters to do his bidding. And to do so, he used something known as an Orb, a sphere of incredible supernatural power that the protagonist Daniel haplessly stumbles upon, triggering a chain of events that leads him to Alexander. This orb could also be described as, oh I don’t know, a stone egg. So now the earlier reference to the stone egg takes on a much more sinister light. Apparently Mandus’s children found an Orb while on their trip in Mexico. Not only that, but Mandus refers to the body in the entry as being the work of his great-uncle. Presumably that would mean that Mandus is the descendant of none other than Alexander, the big bad guy from The Dark Descent. And if he discovered an Orb while in Mexico, it’s no wonder something went wrong. Things always go wrong when one of those things is involved, and I mean always. Going forward nothing much happens. We solve some puzzles, run from some piggies, and generally creep ourselves out. One bit of information that comes up is that Mandus embarked on whatever task he set himself to with someone referred to only as the engineer or the visionary. Astute players will likely connect him to the voice over the intercom, as he is the only unknown character at this point. So we travel through some sewers, drain some water, and hear the children calling from off in the darkness. Nothing much new is gleamed, but there is one scene I want to call attention to. It takes place in what I can only call the “holding pens”. And oh boy, is it mighty freaking creepy. UH NOPE! NOPE! COPIOUS AMOUNTS OF NOPE! It’s a large holding area for the pig creatures. They wander around in a downstairs area as you look down from above. There’s even a table set for them, smeared with blood and littered with what I can only assume is food for them. Going further reveals row after row of little cells, each containing one of the things. Mandus himself even notes that the creatures seem almost childlike (couldn’t have found a creepier adjective myself). Moving on we find ourselves crawling through some large pipes until we get to a new area. We descend a long staircase to an elevator. We’re almost there now. We’ve fixed the damage. Now all that’s left is to turn the machine on. Descending in the elevator, the background walls give way to reveal a gigantic underground chamber. And in the center of it is some kind of giant metal orb. This must be the machine. Everything has led up to this point. And I must mention that the haunting music here (complete with epic choir singer) is just downright awesome. In fact, most of the music in this game in general is awesome. “Oh dear god, dear Christ what is this place,” asks Mandus as he emerges from the lift. Finding one last bit of sabotage we fix it and return to the main chamber. Climbing a set of stairs takes us to what appears to be some kind of control room. Inside are two levers. One is lit green, the other is red. Throwing the first one causes the giant metal ball to light up. The other lever turns green, and we grasp it and pull. The doors behind us slowly close as a massive ear-splitting rumble rips through the air. A gigantic shock wave sends Mandus flying backwards as the window in front of him shatters. And it is then that we learn the truth. The lever of epic plot twists. Two things become readily apparent. The first is that the voice over the intercom urging you onward has nothing but bad things planned. Apparently this was the voice of the machine itself, leading Mandus on to its own twisted ends. It cackles madly as Mandus screams at it. “You promised me my children,” he cries. But there is the second truth we learn, and something we probably already suspected. They’re dead. They were always dead. “I’m so sorry,” Mandus says softly as he picks himself up off the floor to see their bloodied faces looking down at him. In one swift act they reach inside their chests, and rip their hearts out right in front of him. And then, everything goes black. The twist involving Mandus’s sons is admittedly a bit obvious, but maybe that was the point. Maybe Mandus was so far gone into his fever dream that he couldn’t see what should have been right in front of him. Whatever the case is, we find ourselves in another elevator suddenly. Picking ourselves up, we move onward. We hallucinate the children again, and find a note that reveals something else. Mandus is the saboteur. Realizing all that he had done, he tried to destroy his machine in one last frenzy before he succumbed to the fever. But even now, Mandus cannot accept the truth. He still asks for his children. “Why do you ask Mandus? You know the answer well enough,” the machine says to him. I feel this gives more credence to the idea that Mandus is completely blinded by the fever and the loss that he suffered that he just cannot or will not see what he knows is true. But Mandus is not done yet. He dons the role of saboteur once more, taking apart what he put together again, ripping out fuses and breaking steam pipes. After a harrowing run through a gigantic steam pipe, we find ourselves at another elevator and with it, return to the surface. But all is not well, as the machine’s plan is revealed. The earth shakes underfoot. Explosions rip through the air, casting glaring orange flashes onto the brick walls and pavement. Shrill screams intermingle with horrid squeals as people are dragged away from their homes, down to the processing plant to become part of the ever-growing mass of “product”. Mandus is in horror. The ramifications of all that he has done surrounds him. And it is with that realization that his path is set. He is determined to end this. He will find his way back beneath ground, tear apart the machine with his own hands, and end the madness of his own creations. After the harrowing moments above in the city, we return below ground, destroy vital components of the machine wherever we can. The last part of the game really reveals the depths of Mandus’ insanity, as we see objects in places where they shouldn’t, and couldn’t, be. Toy letter bricks and a little paper house pop up, which we have seen before in the nursery back at the Mandus household. Things really go off the rails at this point, as we even jump forward in location a few times without understanding how. And we also get a glimpse at the fate of the Professor character. An audio flashback reveals that Mandus locks him in a dark room somewhere, after promising to introduce him to his engineer friend (who by now we know is the machine itself). “We are the pig professor. We are all the pig,” Mandus says darkly. So what happened to him? If I had to guess, I would say that he became a part of that “product” Mandus was making. But something else comes to light as well. As we travel below into the heart of the machine compound, Mandus asks why his children died, and the machine tells him the truth for once. “Of all the blood we have spilled together, the first drops fell from your hands alone,” it says. “Then I am damned for a filicide and everything is lost,” is all Mandus can say. So now the truth comes out. Some players probably guessed that Mandus killed his children, but this is the first time we get confirmation on it. So we know basically all that Mandus has done, but we still don’t know why yet. Going further into the labyrinth prompts the machine to try to reason with Mandus. And it is here that we find another wrinkle in the story. Oh boy, this just got complicated. He’s talking about war, and most likely World War One (WWI) in particular. If you know history, you know how damaging World War One was to the psyche of the world as a whole. Entire worldviews were shattered and re-shaped with the onslaught of this brutal event. But how does this connect with Mandus? We have to push on further to find out. We’re getting closer to the end. Much of this last stretch of the game seems to deal with Mandus coming to terms with all he’s done. “I would have given my soul to spare you this world…” he quietly cries as he walks among the emblems of his children, lying on a walkway far below ground where they shouldn’t be. Knowing all that he has done, and what the fruits of his labors have come to be, he is absolutely crushed. But he is not beaten. He quietly vows to make things right, and proceeds onward. After a couple run-ins with a freaky teleporting electric pig (that’s a thing now too), we find ourselves in another area. This has some creepy machination with what appears to be a heart or something held aloft by metal pincers. We activate some odd-looking devices that light up, and then we experience another strange jump in location. The end is at hand. We find ourselves on a walkway proceeding towards a giant conveyor belt. We can hear the machine shutting down slowly, as different parts along the conveyor belt power down as we pass. The machine pleads with Mandus, begging him not to do it. “I am no more evil than you,” it says with a hint of desperation. And then, the full truth, the reason why Mandus killed his children, comes to light. We now know why, and we can begin to understand the chain of events. Connecting the dots, we can guess that the Orb that Mandus found showed him a vision of the future, a vision of such horrific intensity that it completely destroyed his psyche. Knowing what the coming century would bring about, and knowing their fate, he sacrificed his sons in an effort to spare them a horrible and likely slow death in the trenches of war. The vision resulted in Mandus becoming greatly dissatisfied with the world and civilization at large, knowing the face of the world was about to change abruptly. He suffered a fever of not only physical but psychological torment as well. And this is why I find this game’s story so much more intriguing than the first game. In the first Amnesia, Daniel’s motivation for doing all the horrible things he did was to try to save his own life. He sacrificed possibly innocent people in an attempt to prolong his life until he could appease the shadowy monster that pursued him and the Orb he stole. But in this case, Mandus had a goal not of self-interest, but of twisted salvation. He wanted to save the world, but couldn’t figure out how without destroying it completely. He does horrible things, but his reasoning for doing so is almost…understandable, in a way. He is a man caught between centuries, knowing how the world will change with the advent the twentieth century and the horror of WWI. Emerging through a set of spinning doors at the end of the conveyor brings us into a massive chamber with some kind of giant temple in the middle. We have seen the scale model version of this place lying around before, and it is presumably a re-creation of the kind of place Mandus saw in Mexico. But none of that matters now. “Daddy.” A final cry splits the silence after the music fades. It’s time to end this. I could analyze this speech by the machine and make it into its own blog post if I really wanted to. The complexity of it is amazing. There are so many different allusions here. I put it here because I feel it is a very powerful and pivotal part of the game. Mandus says nothing. His course is set. As we approach the top of the giant temple staircase the screen goes white. Suddenly, Mandus finds himself next to a chair. The machine begs, sounding absolutely afraid now. Climbing into the chair, Mandus is surrounded by strange metal things that look sort of like pincers. A large button glows in front of him, prompting Mandus’s final act. After the button is pressed, a metallic roar is heard as something seems to charge up. The pincers suddenly close in on him, and everything cuts to black. The game ends with Mandus and the machine dead, entwined forever in the dark underground. Up above, the city merely turns over in its sleep as the twentieth century dawns. The factory doors close forever, and Mandus’s tale concludes. There are still a lot of uncertain variables in the story. The purpose of the machine and the reasoning behind Mandus’s experiments with pigs are still unclear as the game comes to a close. But perhaps that’s for the better. From a story standpoint, the overall thematic point the game sends off is far more important than the little details if you ask me. And besides, horror isn’t horror if everything is wrapped up in a neat little bow. Horror works best when it leaves certain details up to you, when you have to fill in some of the blanks. The machine itself is also representative of something, or maybe many things. The primary thing seems to be a metaphor for Mandus’ conscience. Several times Mandus makes reference to a moment when the world seemed to split in two for him. My theory on this is that the Orb somehow split his consciousness into two halves. The one became the machine, that side of him that has so deluded itself into thinking that the path he has chosen is the only way. The other remained with Mandus himself, the part of him that loves and cares for his children, which would explain his obsessive behavior in pursuing them throughout the game even though it was obvious they were dead. It could also just be a metaphor, who knows? That’s the nature of stories, and horror stories in particular. Overall I loved the story in this game. It was gruesome. It was complex. It was mysterious. It had a lot of the things I want out of a horror story, and even threw some things at me I never expected. The WWI aspect of the game really took me by surprise. This game manages to capture the horrific effect World War One had on the British. I took a British Literature class in college, and one of the things we talked about was how damaging to English moral WWI truly was. No longer was war this dutiful thing you did for king and country. It was horrific. It was bloody. It meant the end of so many young lives. And nobody really knew why it happened, it just did. Even today trying to study WWI leads to confusion. We know the event that triggered it (Franz Ferdinand’s assassination), but it’s extremely difficult to figure out the “why”. Mandus reacts to WWI in much the same way as the historical British do. His worldview is completely shattered, his faith in humanity gone. He felt hopelessness, frustration, and anger all it once. He felt that the world was no longer just. All in all, he reacts in much the same way people who actually experienced the war did. Writing and art were transformed into a movement that acknowledged the horror and pointlessness of war and death. There is a reason why WWI was called “the war to end all wars”. And they say video games can’t tackle deep subject matter. If you got this far, thanks for sticking with it and reading the entirety of this long analysis. I truly do appreciate it. Tune in next week for another (and probably shorter) post coming on Wednesday. As a teenager I often found myself fascinated with the idea of urban legends, those maybe true creepy stories about strange happenings (one of the more famous being the “hook hand” story). They tickled some part of my brain that found those kinds of things intriguing, which probably explains why I like the horror genre so much, whether it be in books, video games, or movies. But there’s one kind of urban legend or horror story that I have a very interesting relationship with, because I don’t actually believe in it but I find the subject matter to be incredibly intriguing. They are the things that go bump in the night, the things that linger on. I speak, of course, of ghosts. Ghost stories are fascinating in the way that they represent a very human desire to understand what happens to us when we die. Throughout history, there have been countless explanations, ranging from simply ceasing to exist to reincarnation to everlasting bliss. The idea of ghosts lies somewhere in the middle of all that. They are the idea that the human spirit, essence, energy, or whatever you want to call it, remains behind when a person dies. This happens for any number of reasons, but it is most commonly believed that it stems from some psychological inability to move on. Now for me personally, I don’t believe in the idea. What evidence has been gathered and presented is thoroughly unconvincing to me, especially in the era of Photoshop and digital editing. When it’s possible to make anything look like anything else, what is reality in a picture or video becomes rather subjective. And that’s not even counting the least convincing examples of ghost evidence, namely something referred to as Electronic Voice Phenomena. 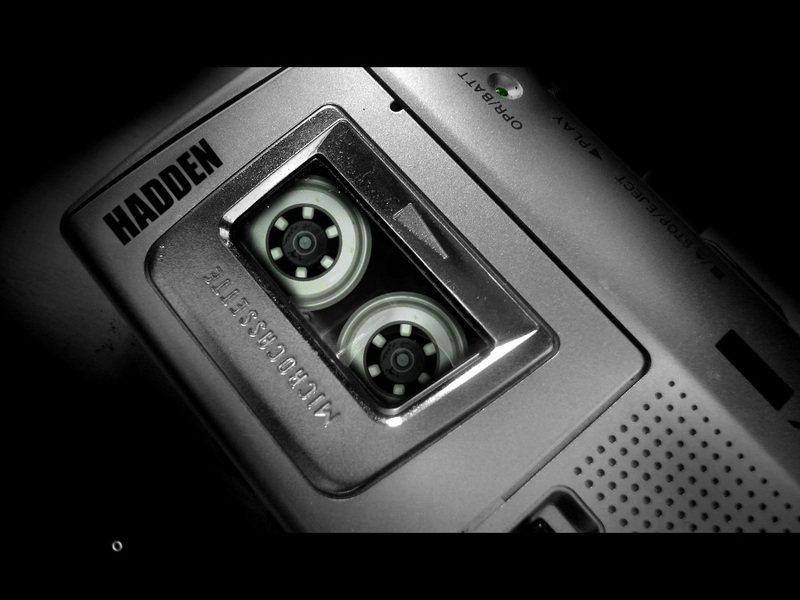 Electronic Voice Phenomena (or EVPs for short) are supposedly ghostly voices recorded on an audio recorder. The theory goes that these voices are below the normal threshold for the human voice range, which is about three hundred to three thousand hertz. Typically, these EVPs are recorded at below the three hundred hertz range, which would exclude any living human because no human alive has managed to reach that range yet. The problem with this is that the vast majority of EVPs (if not all) can be explained away by simple misinterpretation of static noise. Have you ever watched one of those ghost hunting shows where they play an EVP and then tell you what they think it says? Isn’t it strange that the second time they play it back, it sounds just like what they say it does? That’s because it’s not strange at all. A similar thing happens in police interrogations if an officer leads a suspect or witness, giving them visual or audio cues that taint their version of the event (like if they ask “did it sound like a gunshot” and then the person concurs that it did, thus leading them to a particular interpretation of events). The ghost hunters telling you what they think it says leads you to hear exactly what they heard, which then taints the results. You’re no longer able to hear anything else in the recording besides that. Listening to an EVP recording in the adventure game The Lost Crown. So with EVPs being unconvincing, what about pictures and video? Pictures should be simple enough visual evidence of ghosts, or at least they would be if human vision was perfect. Unfortunately for us, it isn’t. The human brain hates visual gaps, and will actually attempt to fill them in whenever possible. This means that our brains can unintentionally trick us into seeing things that aren’t there. So then, a few smudges, weird dust particles, or a trick of lighting on a photograph can trick us into seeing a human face where there isn’t one, and could explain much of the ghost photographs presented as evidence. A friend of mine referred to human beings as “pattern recognition machines” many a time when we talked about this subject. As for videos, those are harder. Some of them are genuinely creepy, and (if authentic of course) completely inexplicable. Ghost videos are some of the more interesting bits of evidence I’ve ever seen. Some have been explained away as a trick of light or as errors in the lens of the camera, but some are just mystifying, and therefore intriguing. However, none of it is convincing enough for me to believe in the idea of ghosts. Sure it’s weird, but just because something isn’t explained right now doesn’t mean it never will be. Lack of proof in this case is not proof. Besides, the burden of proof lies upon those who claim that ghosts are a real phenomenon. Yet, despite my inherent skepticism of the idea, ghosts still remain a fascinating topic for me. I enjoy ghost stories and video games about ghosts, and I’ll even admit to enjoying some of the ghost hunting shows at times (even if I don’t believe the evidence they gather). It might seem like kind of a paradox, but in reality it’s rather simple. It works much in the same way that a non-religious person would find the fundamental concepts and views of a religion to be interesting. You don’t have to believe in it for it to interest you. I’m sure that not everyone who watches horror movies believes in the devil or demons, and yet they like those kinds of things anyways. It’s even translated over into the video games I play. In the last few years or so, I rekindled a long love with an old genre of gaming: point and click adventures (which is a story for another time). And with that rekindling I stumbled across a series of point and click games known as the Dark Fall games. What caught my eye about these games was that they dealt with ghosts. So I picked up the first game called Dark Fall: The Journal. And you know what? For me, Dark Fall was more about the atmosphere than anything. At times, I became immersed in this location, feeling like it could be a real haunted location somewhere in the world. I really enjoyed the little touches of having ghostly pictures and even EVPs to listen to. After beating it, I pick up the second game, Dark Fall 2: Lights Out. This one takes place primarily in a lighthouse where the three lighthouse keepers mysteriously vanished (surprise, surprise). This one I also thoroughly enjoyed, especially because the plot it told ended up being far more intricate than the previous game. The resurfacing of point and click games in my life allowed me to get back in touch with a part of myself that I hadn’t given much thought to in recent years. Outside of movies like the Paranormal Activity franchise (really well done movies by the way) and the ghost hunting shows, I hadn’t really been able to experience ghost stories in most media, least of all in video games. Encountering the Dark Fall games really got me back in touch with that part of myself that, while not believing in ghosts, still loves the idea of it. They make for good stories and truly moody atmosphere, something you don’t see a lot of anymore in today’s era of gore and jump-scares. I guess the end result of all of this is that I’m not ashamed to say I like ghost stories, even if they are incredibly cheesy at times. I like them in the same way someone would like the Saw movies. It’s not really a guilty pleasure, but rather one that not everyone is going to understand or agree with. Regardless, I’ve liked ghosts stories since I was a kid, and I doubt I’m going to stop liking them anytime soon. I’ll always have a fondness for those things that go bump in the night. Thanks for taking the time to read this. Tune your eyes in next Wednesday for another post.